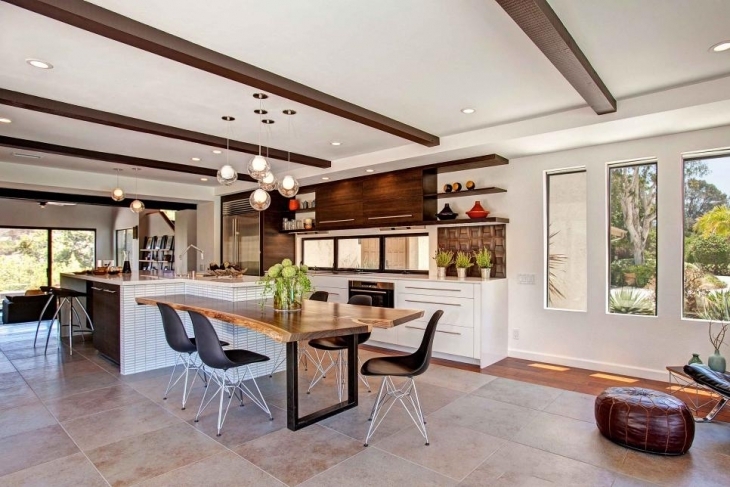 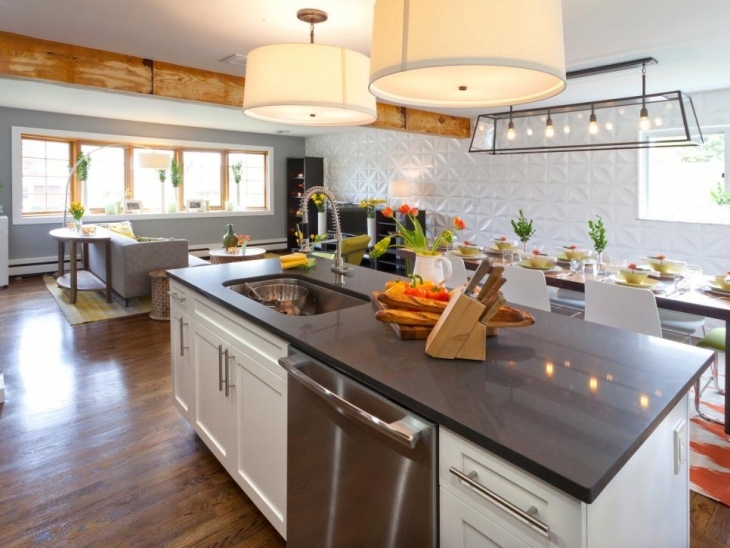 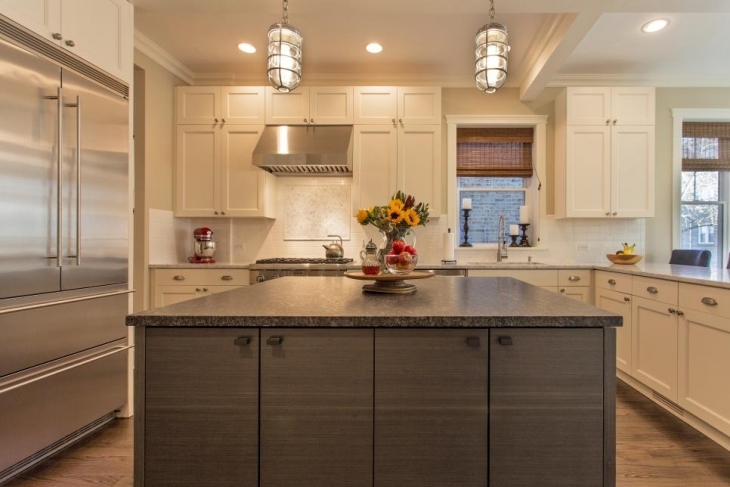 The kitchen can be the busiest room in the house, especially if it includes the dining area. 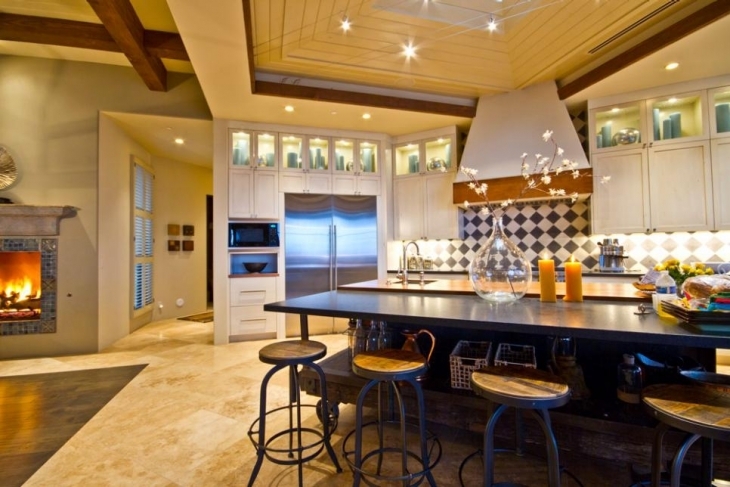 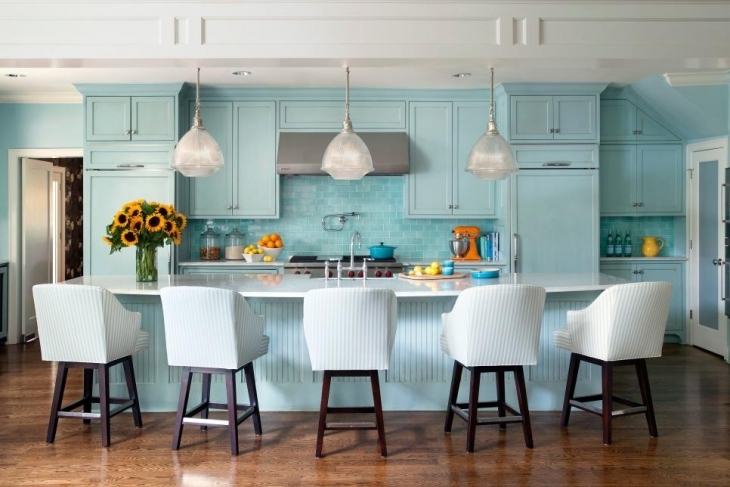 Lighting can be one of the more important design elements of the kitchen. 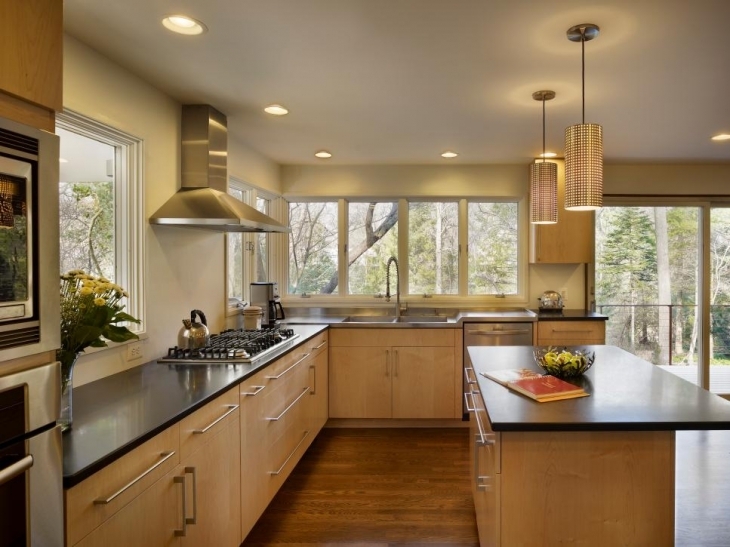 The amount of lighting required will depend on the size and layout of the kitchen and its various elements may require only a central ceiling light, with perhaps one or two focus lights at select locations. 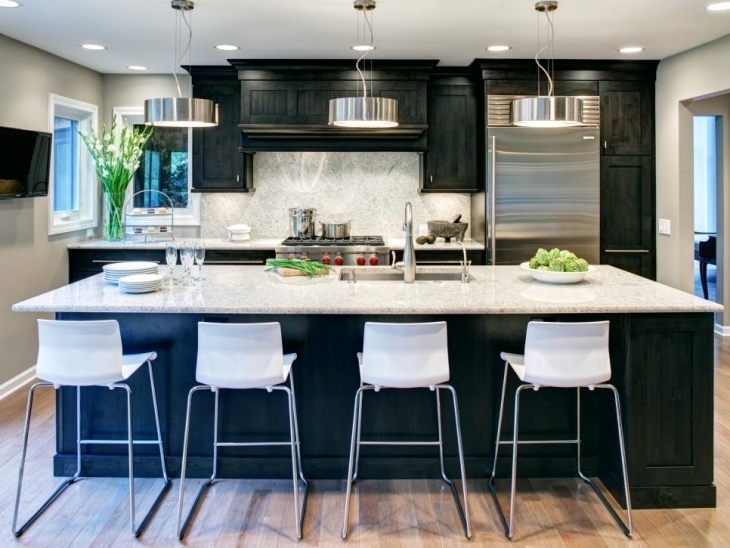 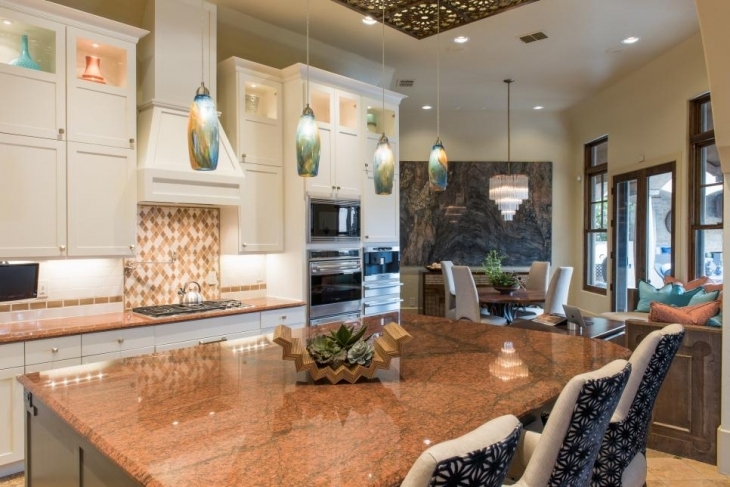 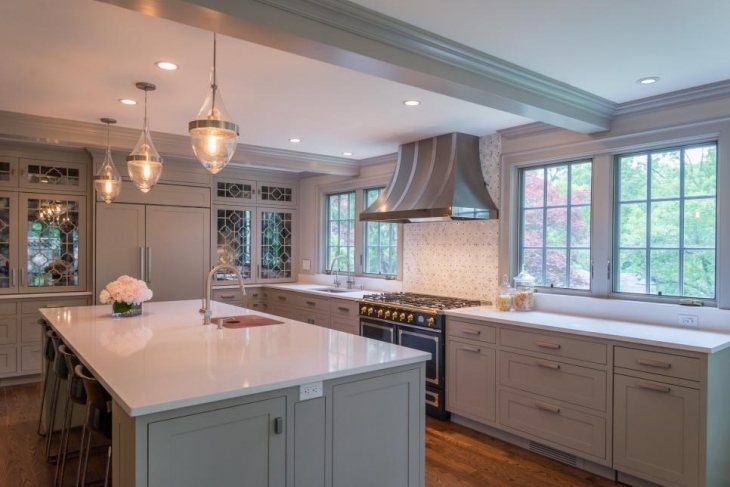 More complex kitchens will need a blend of general, focus and accent lighting. 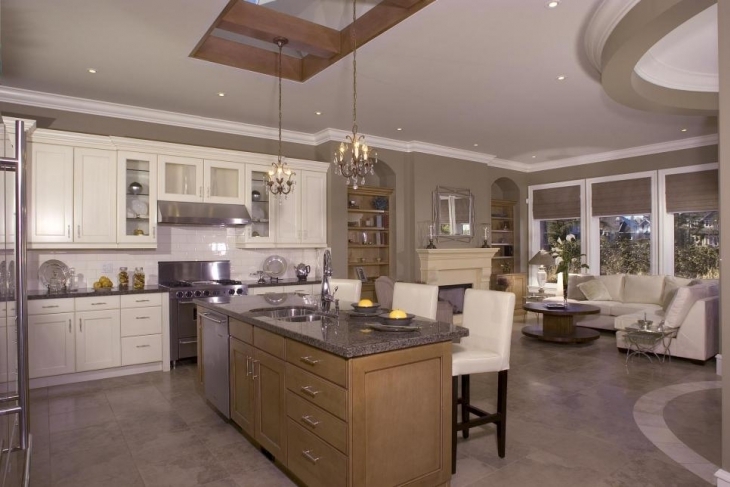 General lighting can consist of a decorative chandelier or with recessed lighting. 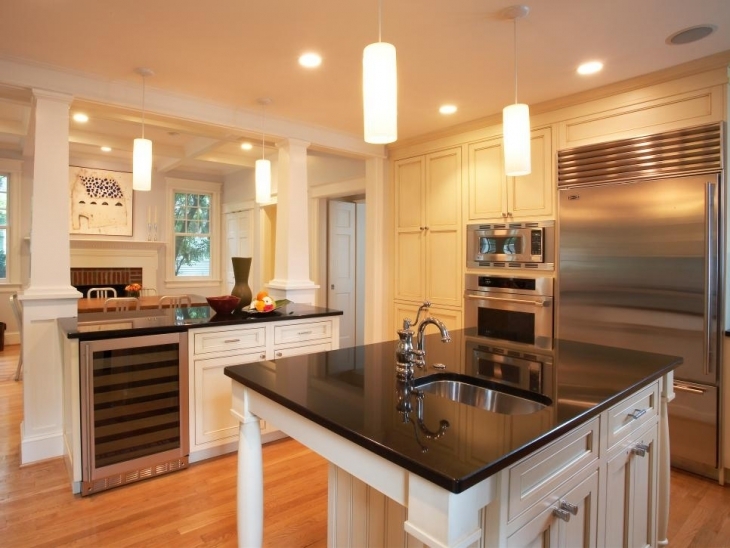 It is better to use chandeliers with semi-transparent glass instead of fabric shades for easier cleaning. 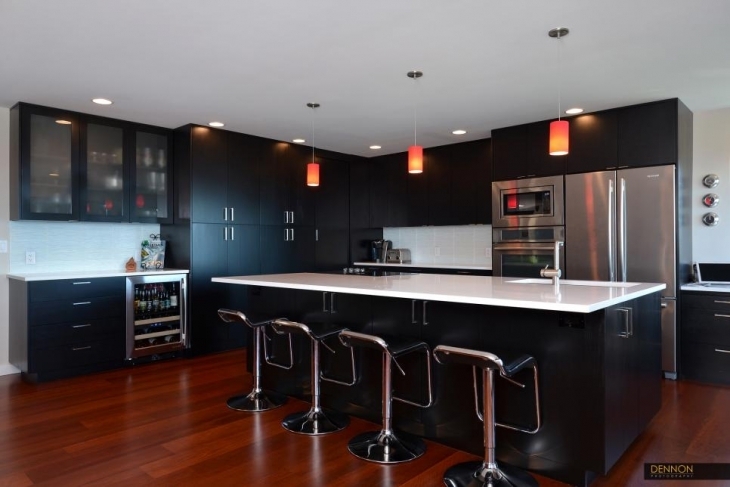 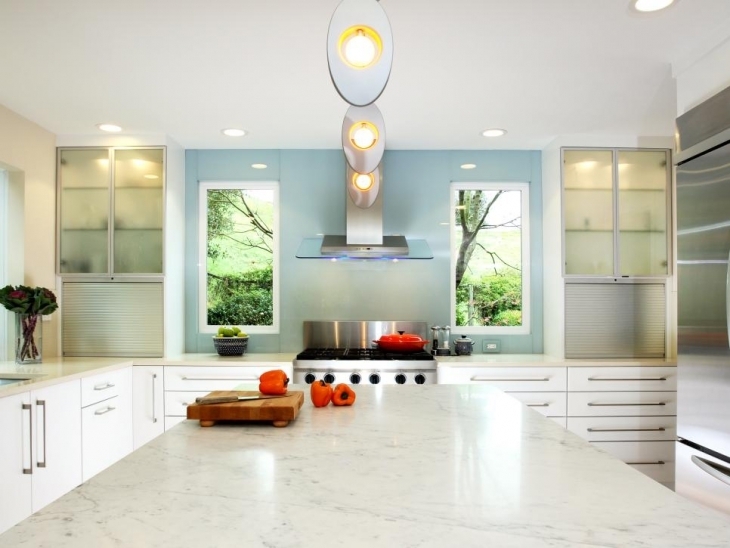 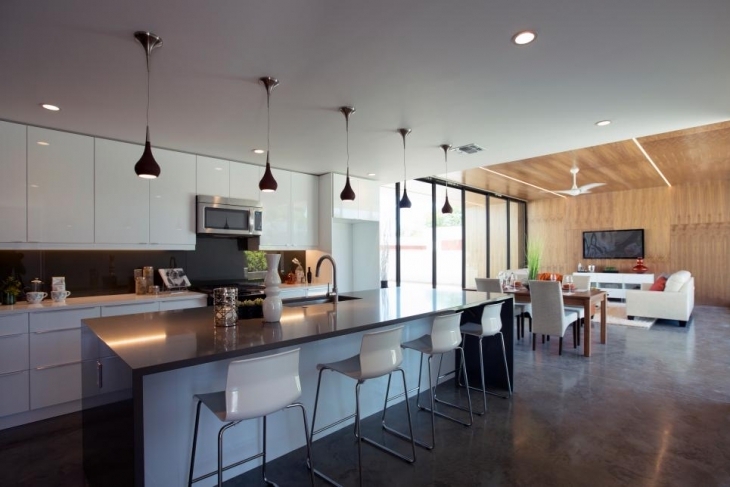 Recessed lights are best places around the perimeter of the kitchen to illuminate all spaces. 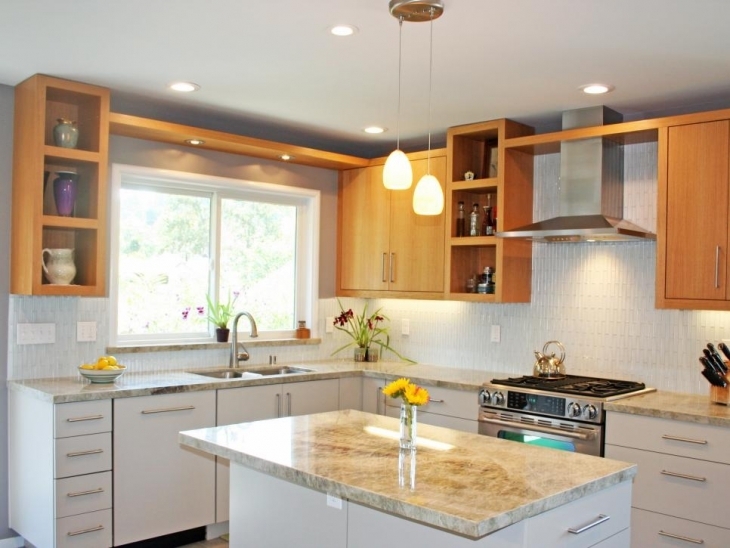 you may need some lighting fixtures under the kitchen cabinets directly over the stoves. 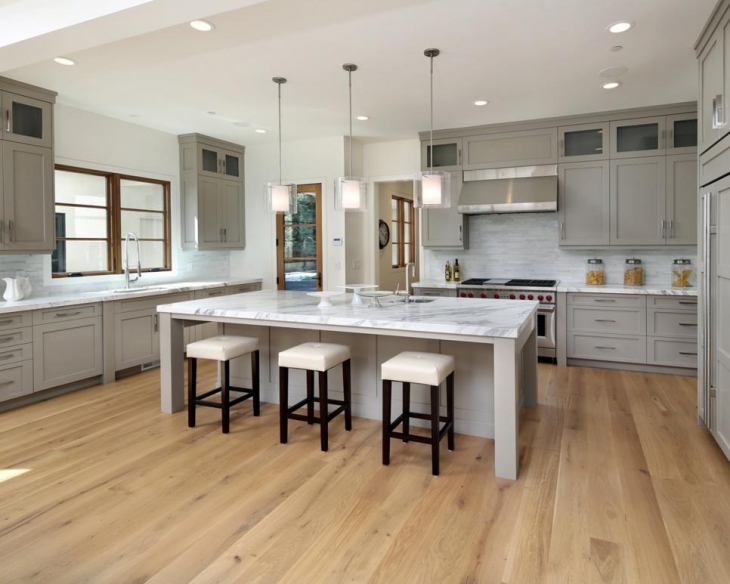 Install the fixtures under the cabinet floor and not against the wall for more even distribution of light.You may also have lights with dimmer capabilities. 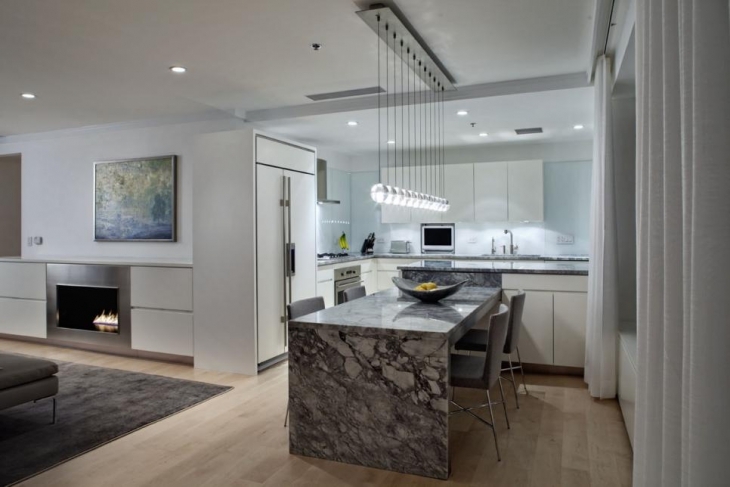 Having different levels of lighting adds depth and interesting dimensions to the overall ambience. 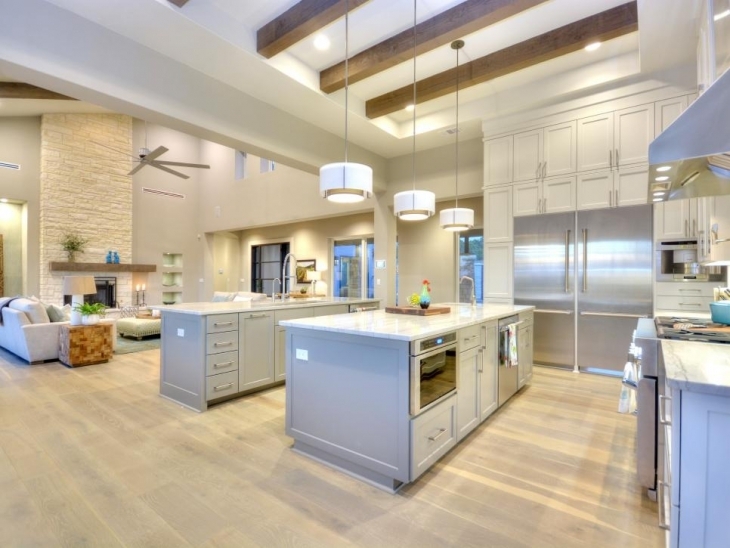 You can also use recessed lighting to focus on certain definite elements of the kitchen, like cooking range, baking facility and dishwashing. 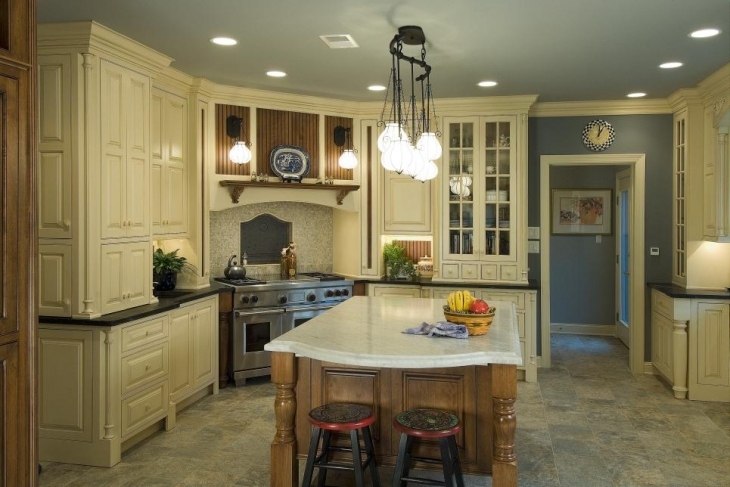 Recessed lighting fixtures come in a variety of materials and designs so you can select those that best complement the kitchen decor. 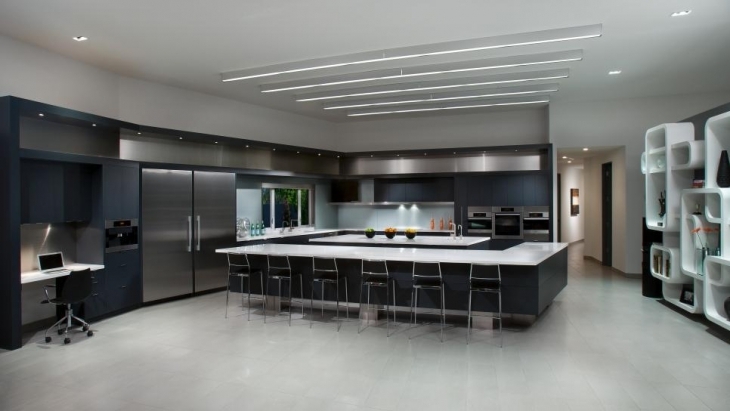 On the other hand rail and track lighting systems are gaining in popularity because of their flexibility, which allows you to change the lighting focus.